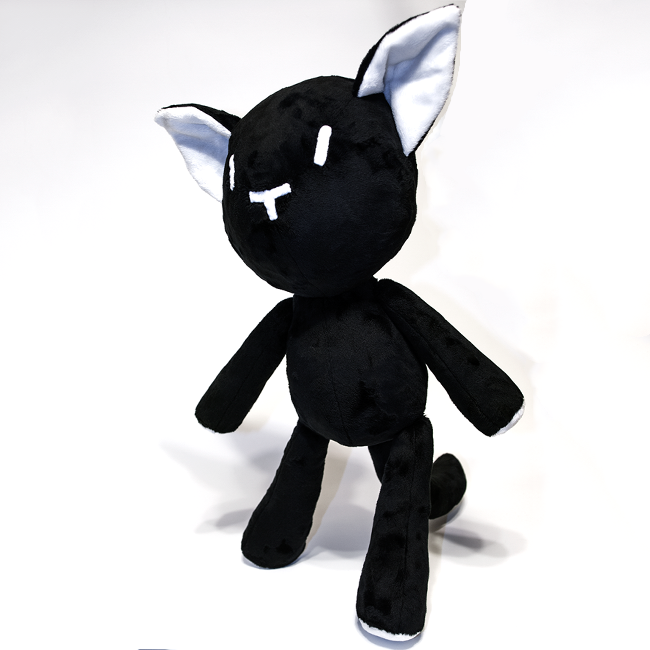 This is Mr. Mew, Shiki's handmade plush cat who fights for her against "the noise" from The World Ends With You (TWEWY). 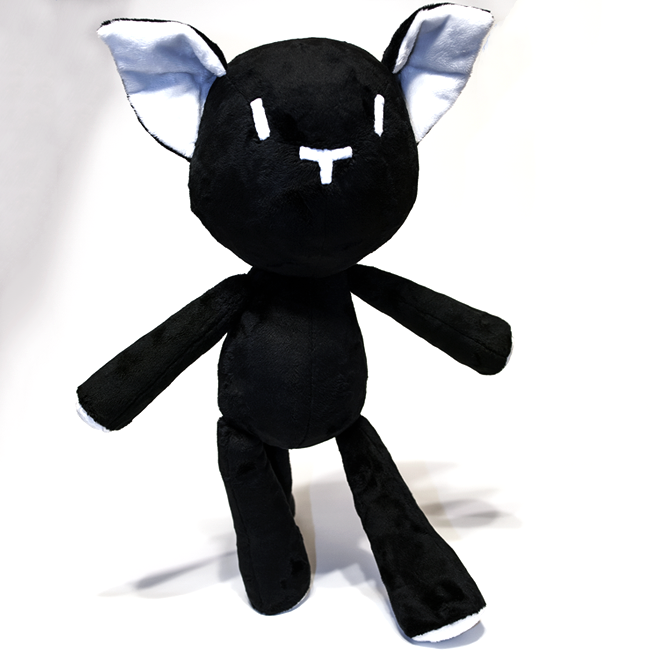 His body is made entirely from minky for quality and softness. 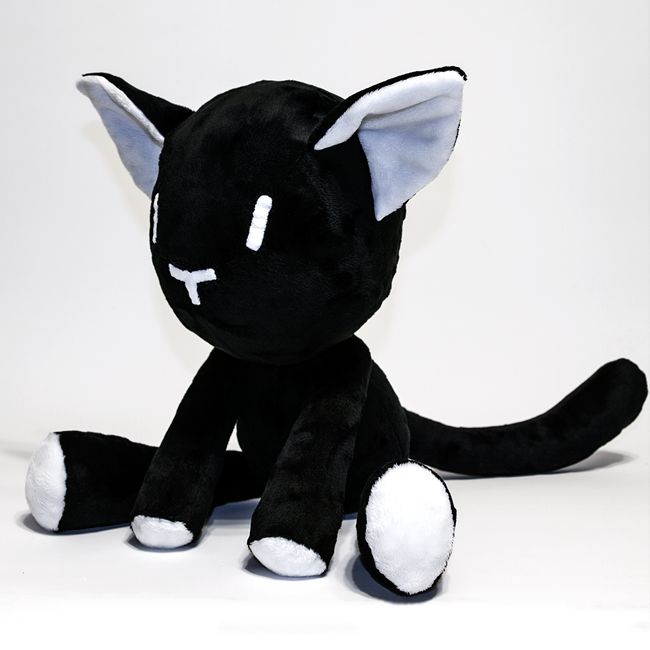 The eyes and nose are synthetic suede, the edges turned and hand-stitched in place. 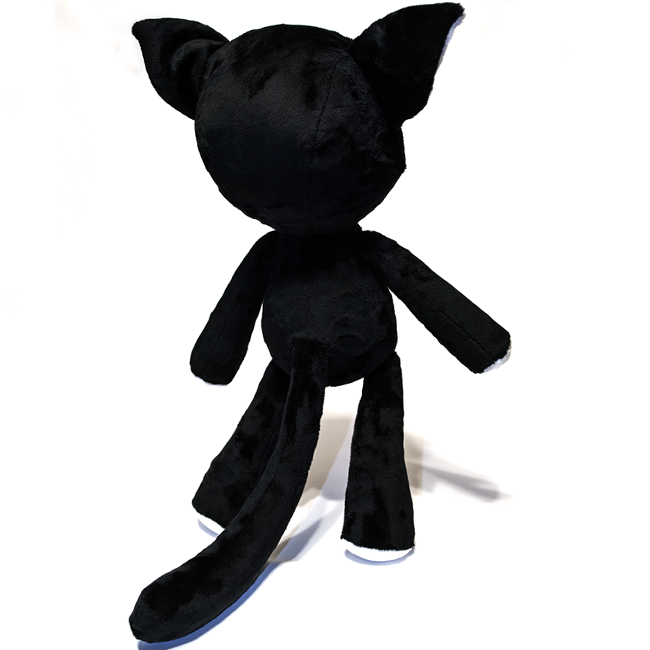 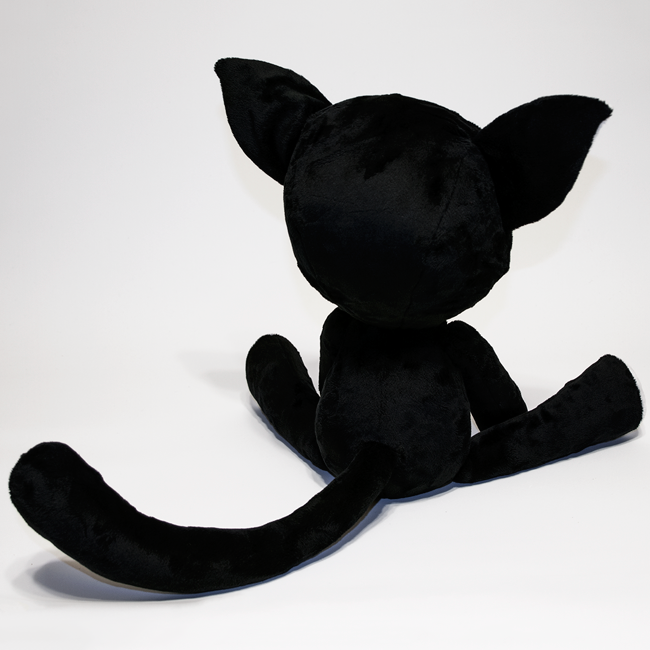 This is the "life size" Mr. Mew plushie, approximately 19" tall from feet to ears, perfect for a cosplay accessory or large huggable plush. 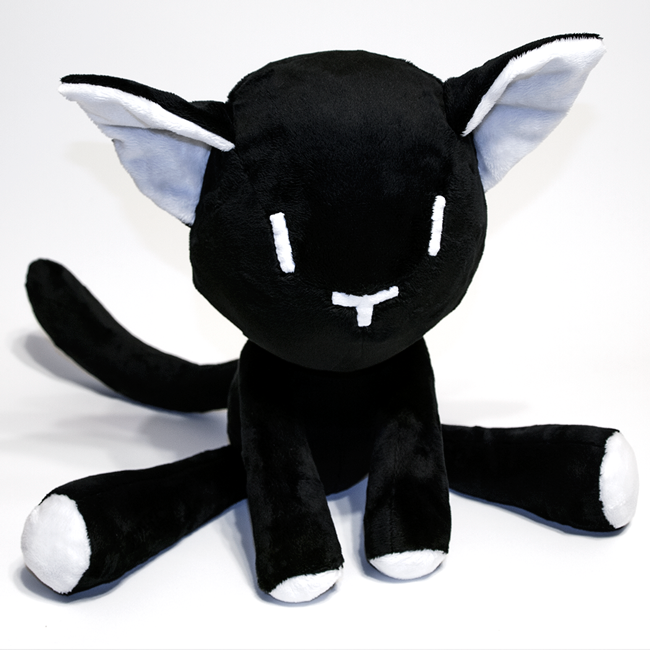 Mr. Mew is designed to have floppy legs, and cannot actually stand/balance on his own, and is intended to sit for display.